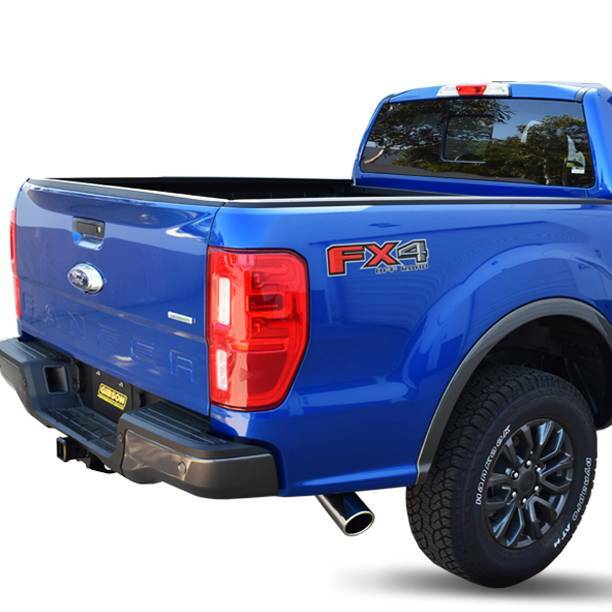 Durable design and outstanding power, the all new 2019 Ford Ranger Exhaust System is built for off-road adventure. Add a little style to truck without losing performance. Make your Ranger the center of attention as Gibson Performance Single Side Exit Exhaust System sets your vehicle apart on the street or in the dirt. Hassle free, bolt-on installation with professional looking results. No welding required. Backed by a Lifetime Limited Warranty. 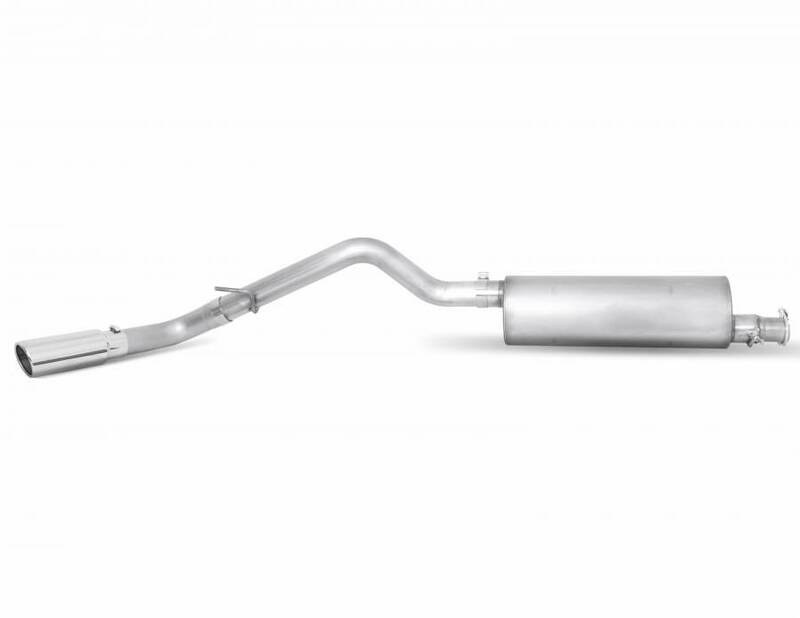 Gibson exhaust systems offer a powerful authoritative deep exhaust tone with no annoying noise inside the cab. Dyno tested to assure increased horsepower and produce more torque. Average horsepower gains are 10-15 and 15-20lb-ft of increase torque. Gibson strives to provide top-quality products that are 100% made in the USA. Tubing Diameter: 3.00-in. Stainless mandrel bent tubing. Tip Description: 3in. Polished T304 Stainless. Round Slash-Cut Tip. Clamp on. Tip Specification: Inlet 3 in. ; Outlet 3 in. ; L-8 in. 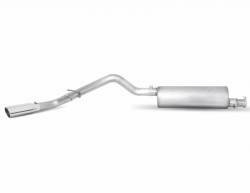 Muffler Dimension: 6 in. Round; 3 in. Offset Inlet; 3 in. Offset Outlet; L-24 in.